When a piece of unprecedented malicious software rampages through thousands of critical networks around the world, it tends to get our full attention. And this week’s digital plague, known as Petya (or NotPetya or Nyetya) proved especially vicious. It paralyzed thousands of computers, including those of Ukrainian government agencies, transportation infrastructure, and companies, as well as international targets including Danish shipping firm Maersk and US pharmaceutical giant Merck. It avoided the mistakes made by the hackers behind the last global ransomware outbreak known as WannaCry, skipping the sort of “kill-switch” that neutered that earlier ransomware crisis. And some researchers are starting to believe it may have been just another offensive in Ukraine’s long-running cyberwar with Russia, though this time with collateral damage felt around the world. But Petya wasn’t the only news in the hacker world this week. A group of researchers revealed that it’s disturbingly easy to hack entire wind farms. WikiLeaks continued its trickle of leaks from the CIA’s vault of hacking tools, revealing how the agency uses target computers’ Wi-Fi to geolocate them. The repeated leaks of that sort of top-secret information from agencies like the CIA and NSA has made it clearer that the US government can’t be trusted to protect any secret backdoor to encrypted systems. And former WIRED editor Kevin Poulsen built a tool to circumvent President Trump’s habit of blocking his critics on Twitter. As Petya took hold of thousands of the world’s computers, the $265 billion dollar Danish shipping behemoth Maersk was one of the most high-profile victims. And the shipping news outlet Splash got the inside story of how the company was forced to adapt to being locked out of its computer networks around the world. From Mobile, Alabama, to India, the firm switched to manual tracking of its loading and unloading of cargo. In New Zealand and Australia, for instance, Splash reports that Maersk staff used handwritten records and (apparently offline) Excel spreadsheets to catalogue shipments. Meanwhile, at least some of Maersk’s facilities, like the Port Elizabeth, New Jersey operations of its sister company APM, were shut down altogether until it could recover from the ransomware ordeal. Danish shipping giant Moller-Maersk has assured New Zealand ports and freight firms that its operations are intact despite falling victim to a cyber attack this week. Maersk’s Asia Pacific chief executive Robbert van Trooijen said on Friday that its ships were sailing and cargo bookings could be made through an external platform, but despite being “open for business” some of its IT systems remained down. The international container carrier was forced to shut down all of its computer and communication systems and set up an external Gmail account when a malware, dubbed NotPetya, infected its computers in Europe on Tuesday. Maersk containers are due to arrive at Port of Auckland on Friday. Its latest public statement released on its restored website early Friday said it was “progressing towards technical recovery” but could not confirm when all of its its systems would be up and running again. The company’s New Zealand arm broke its forced silence on Thursday when its phone lines were restored. Mearsk’s Asia Pacific chief executive Robbert van Trooijen says its ships continue to sail after this week’s cyber attack. Maersk Australia and New Zealand managing director Gerard Morrison said the company had kept its import and export operations going by using Microsoft Excel spreadsheets and handwritten information to instruct Ports of Auckland and Port of Tauranga what to do with its cargo. Morrison said the cyber attack slowed unloading of vessels. 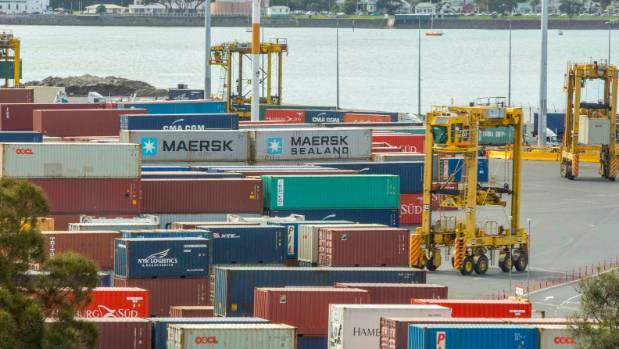 Ports of Auckland confirmed its handling of Maersk containers had slowed. 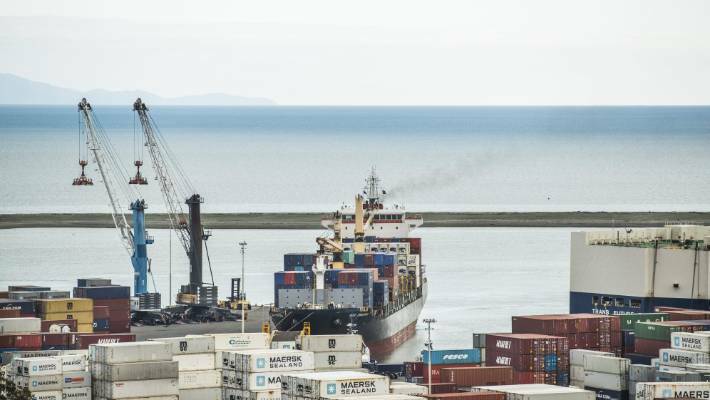 Port of Tauranga said earlier this week that its imports had not faced any delays but it was communicating through an alternative method. The first Maersk containers to arrive in New Zealand since the attack docked at Ports of Auckland on a Hamburg Sud ship early on Friday. Port spokesman Matt Ball said port staff were unloading the Maersk cargo with no delays. New Zealand Manufacturing and Exporters Association chief executive Dieter Adam said he had not yet received any reports of businesses not receiving imported goods. The cyber attack that mainly targeted Ukraine congested some of the 76 ports run by APM Terminals, including in the United States, India, Spain and the Netherlands as well as New Zealand. Maersk handles one in seven containers shipped worldwide. Morrison said New Zealand’s ports were facing similar problems to the rest of the world. New Zealand’s government cyber safety authority, Computer Emergency Response Team (Cert NZ), said it had not received any reports of infections from the malware in New Zealand. Cert NZ director Rob Pope said on Friday that businesses here were only impacted by precautions being taken by multinational companies to protect from NotPetya. He urged businesses to make their staff aware of the threat and for any one who had had their computer compromised by a ransomware or malware virus to come forward. Cadbury owner Mondelez, law firm DLA Piper and advertising giant WPP were also victims of NotPetya. Symantec cyber security manager Nick Savvides said on Wednesday that the malware attack was similar to the WannaCry ransomware attack that affected Windows computer users last month. However, there is growing speculation NotPetya was not designed to make money but instead to do economic damage. The malware spreads automatically through company networks once one machine is infected, but appears not to be programmed to automatically leap from one organisation to another. Danish shipping company Moller-Maersk’s New Zealand arm has broken silence as its phone systems restore amidst the fall out of a global cyber attack slowing import operations. Maersk Australia and New Zealand managing director Gerard Morrison said on Thursday afternoon that its phone and email systems had been deliberately shut down by the company to stop the spreading of the malware virus, dubbed NotPetya, that hacked its computers in Europe on Tuesday night. All of its systems except its phone lines remained down, relaying an “enormous” impact to ports across the globe, he said. Ports of Auckland was among the first to admit its operations had been affected by Maersk’s entire system shutting down. Morrison said its New Zealand staff had been keeping operations going manually, using Microsoft Excel spreadsheets and hand written information to tell Port of Auckland and Port of Tauranga what to do with the cargo that needed to be unloaded off its ships. This had slowed the arrival of imports but it was too early to tell how long the delay would be for businesses to receive their incoming goods, he said. 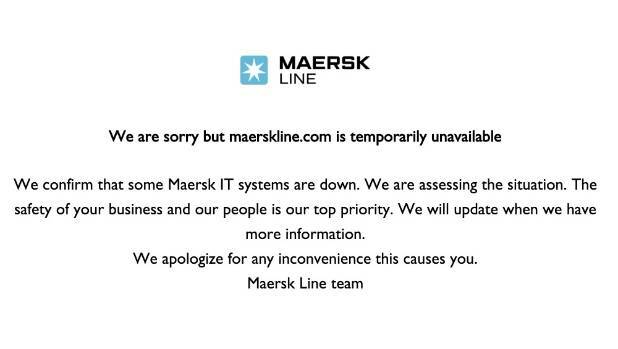 Shipping giant Maersk is one of the big names that has fallen victim to a huge ransomware attack. Morrison said staff at its Auckland office were overwhelmed with support from hundreds of its nearby clients that offered phone lines, internet connections and office space. 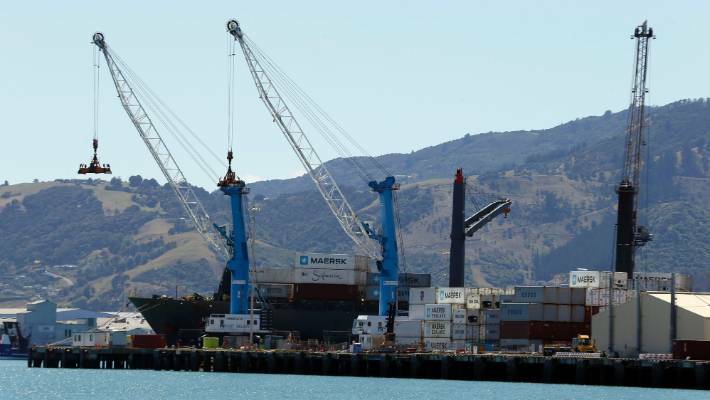 Port of Tauranga (POT) said late Thursday morning that it currently had one Maersk ship docked but it faced no issues or delays in unloading. POT commercial manager Leonard Sampson said it was “business as usual” at the site as it continued to communicate with Maersk through an “alternative method”, suggestively an external Gmail account set up by Maersk to speak with its clients. Mainfreight managing director Don Braid says its IT systems were safe but it was struggling to communicate with shipping giant Maersk. 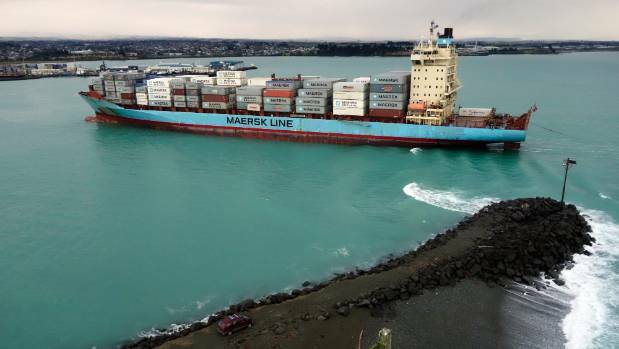 Ports of Auckland (POA) spokesman Matt Ball said the first ship carrying Maersk containers since the cyber attack was due to arrive at the port on Friday. Ball said its port operations were already suffering the fallout from Maersk’s IT systems shutting down because most of its mutual information was shared digitally. POA confirmed on Wednesday that it was receiving information about the imported cargo from Maersk manually through a Gmail account. 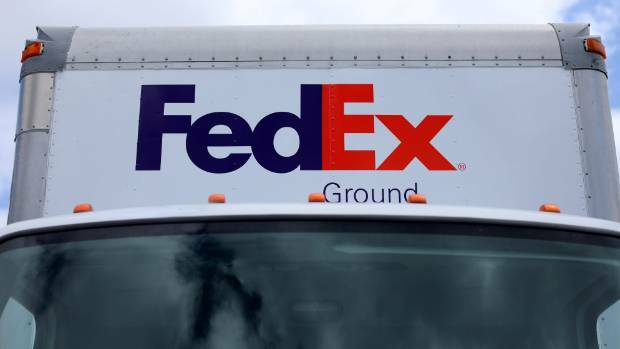 Customers awaiting mail sent by FedEx courier subsidiary TNT Express will experience delays, the company announces. Multinational freight company Mainfreight also said its export and import operations in New Zealand had been affected. 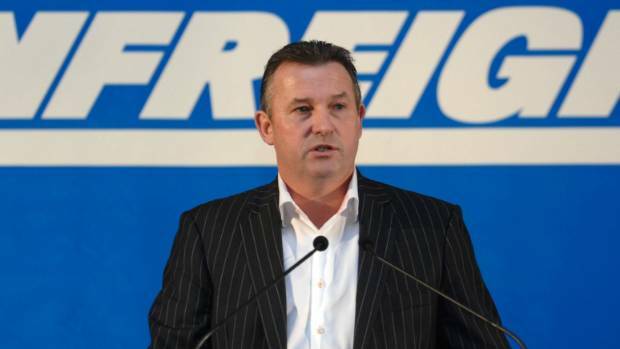 Mainfreight managing director Don Braid said that it was one of hundreds of companies suffering from the communication issue. A statement released by Mainfreight on Wednesday said it could not book cargo with Maersk nor retrieve or export freight on vessels that were operated by APM Terminals, a subsidiary of Maersk. ​Maersk’s Morrison said it was now able to accept some cargo bookings through platform INTTRA but was working on creating a manual booking process that would be available to New Zealand clients on Friday morning. Kotahi Logistics, which manages shipping logistics for Fonterra, chief executive David Ross said on Thursday afternoon that it was pleased with Maersk’s communication efforts and expected “minimal disruption” to its cargo flow. Kiwirail spokeswoman Sarah Stuart said on Thursday morning that its operations had not been affected despite having Maersk as a client. Courier company TNT Express said in a statement on Thursday that its mail services would be delayed but when contacted it could not say how that would affect New Zealanders awaiting deliveries. The cyber attack has led to congestion at some of the 76 ports run by its APM Terminals unit, including in the United States, India, Spain and the Netherlands as well as New Zealand. The company handles one out of seven containers shipped worldwide. New Zealand’s government cyber safety authority, Computer Emergency Response Team (Cert NZ), continued to report on Thursday morning that it had not received any reports of infections from the malware – dubbed both Petya and NotPetya. ​It mainly affected Ukraine, but also hit a swag of multinational firms. While Maersk has been the big worry because of the knock-on effect on supply chains, Cadbury owner Mondelez, law firm DLA Piper and advertising giant WPP were also victims of NotPetya. The malware spreads automatically through company networks once one machine is compromised, but appears not to be programmed to automatically leap from one organisation to another. Instead, the attack appears to have been “seeded” by an infected update to Ukrainian accounting software service MeDoc, and possibly by phishing emails. Local arms of global companies are shutting down operations as a precaution against a worldwide ransomware attack. The ransomware virus cripples computers running Microsoft Corp’s Windows by encrypting hard drives and overwriting files, then demands $US300 in bitcoin payments to restore access. It includes code known as Eternal Blue, which cyber security experts widely believe was stolen from the US National Security Agency and was also used in last month’s ransomware attack, named WannaCry. A major international law firm, DLA Piper, has shut down its New Zealand office among others because of the attack. DLA Piper said its office was having trouble getting external emails but all client data was secure. DLA Piper told its Australian employees it had been the victim of a “major cyber incident” overnight. Its Washington DC office was apparently affected, and DLA told Australian staff via text early this morning that all IT systems had been taken down to contain the situation. The company said it was was unlikely IT systems in the Asia-Pacific region would be fully restored during the day, the ABC reported. Maersk New Zealand managing director Gerard Morrison said local IT systems that were part of the shipping company’s global system were largely out of action, and customers could be affected at least until tomorrow. The market research firm Colmar Brunton has also shut down operations as a precaution since its British parent company was attacked. The Cadbury chocolate factory in Hobart has also been targeted, the ABC reported. A union official said production at Cadbury’s Claremont facility was halted when the computer system went down about 9.30pm yesterday in what was described as a “cyber attack”. It was understood cyber attackers were demanding a ransom in bitcoin currency, the ABC said. Cadbury owner Mondelez International had said its staff in different regions were experiencing technical problems, Reuters reported. Mondelez said some of its New Zealand systems were affected but production in Dunedin was unchanged. A terminal operated by the shipping giant Moller-Maersk at India’s biggest container port had to shut down its computer systems because of the attack. The facility, called Gateway Terminal India, was unable to identify which shipment belonged to whom. The major global cyber attack, dubbed GoldenEye or Petya, has disrupted servers at Russia’s biggest oil company and Ukraine’s international airport. Russian oil company Rosneft said its systems had suffered “serious consequences” but production had not been affected because it switched over to backup systems. 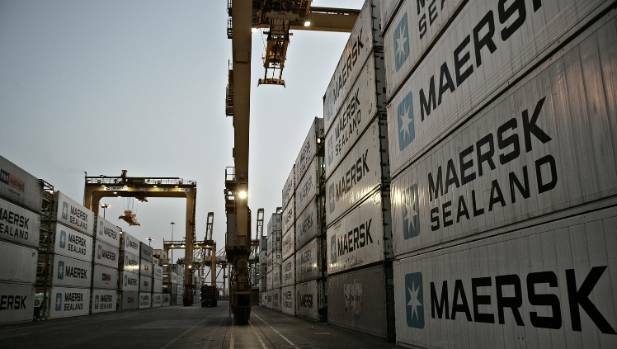 Maersk reported outages at facilities including its Los Angeles terminal. WPP, the world’s largest advertising agency, said it was also infected. Russia and Ukraine were most affected, with other victims spread across countries including the United States, Britain, France, Germany, Italy, Poland. Cyber crime reporter Kim Zetter said once the malware got into a system administrator it could spread to all parts of an international company’s network. New Zealand’s cyber emergency response authority, Cert NZ, advised people to back up their systems and store files outside their network. If the ransomware did hit, people should turn off their computer, and not turn it on again, as an IT specialist may be able to recover the files. Nick Savvides, strategist at security firm Symantec, said New Zealand was not immune to the fast-growing area of cyber crime. The ransomware was not hugely sophisticated but had spread quickly because companies hadn’t protected their systems against it, he said.